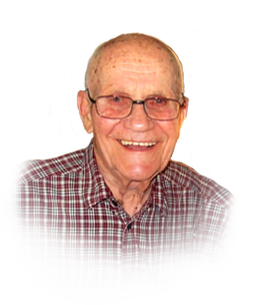 Announcing the passing of Andrew “Andy” Lippai, on March 18, 2019 at 94 years of age. Beloved husband of Dorothy (nee Dobbyn) for 67 years. Loving father of Deidra and husband Rob Palazzi, and Brian Lippai and wife Marian. Cherished grandfather of Kristina, Sebastian, Nathan, and Madison. Dear brother of Joe Lippai and Eleanor Demeter. He loved his children and grandchildren, and watched them play sports, graduate school and make many accomplishments over the years. Andy worked for 49 years as a Tool & Die maker. After his retirement, he spent many hours on various hobbies: photography, woodworking, creating stained glass lamps and windows and caning chairs. He was “Mr. Fix-It” around the house. He also enjoyed watching sports on TV, especially baseball, football and hockey. Andy and his wife lived together in the same house, on the same street for 62 years and enjoyed the company of wonderful, caring neighbours and friends. Special thank you to the PSW’s of Paramed for their dedicated at-home care. Especially to Jennifer, Virginia, Wendy, Hiral, Shania, Cynthia, Jenna, Abby and nurse Sylvia. More thank you’s extended to the 7th floor nursing staff at Ouellette Campus for their care and compassion. If you so desire, donations to the Alzheimer Society or to the Humane Society of Windsor & Essex County would be appreciated by the family. Visiting Thursday, March 21, 2019 from 3-5pm and 7-9pm. Funeral Friday 11:30am at Families First 3260 Dougall Ave. South Windsor, 519-969-5841. Interment to follow at Greenlawn Memorial Gardens. Interment to follow at Greenlawn Memorial Gardens.